Identifying an ST-elevation MI in patients who have a Left bundle branch block can be very challenging to the clinician. 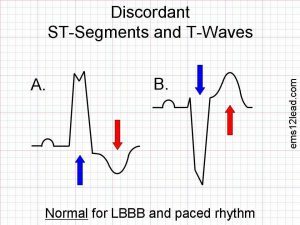 There are changes in the precordial ST and T waves that can make it very difficult in the setting of chest pain to figure out if the patient is or is not having an MI. This has been recognized for several decades back to the time when we were trying to figure out which patients should undergo primary coronary angioplasty. 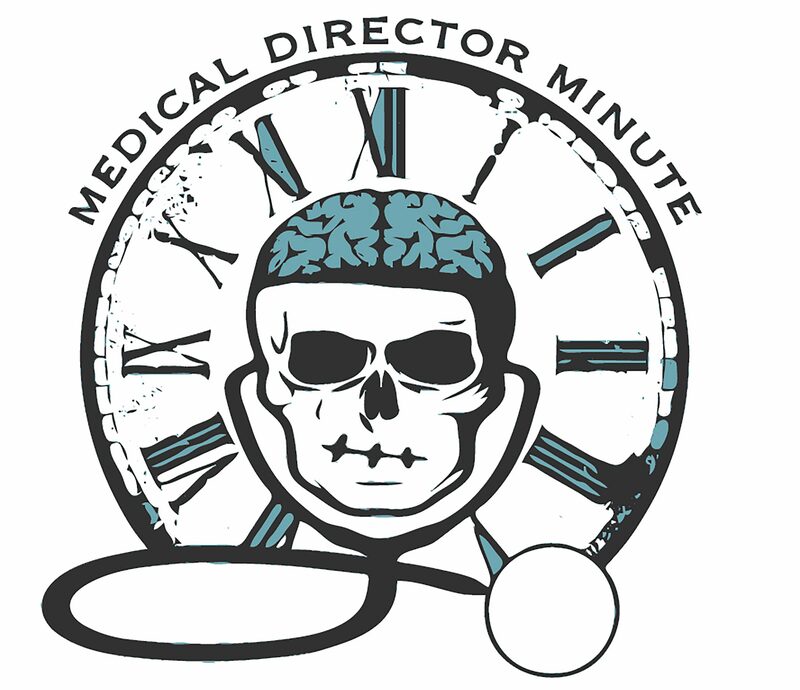 Some of the dogma regarding the “inability” to identify an MI in the setting of a left bundle comes from these early studies that looked at cardiac enzyme elevations as the definition of MI, rather than the presence of a culprit lesion on angiogram. There was some consideration that a “new” left bundle in the setting of chest pain signified an MI, however while bundle branch blocks were associated with a higher likelihood of MI, the new onset LBBB did not correlate with STEMI. As a practical matter, we rarely have an old ECG available to use in the field to say what is new or, more accurately, “not known to be old.” Chang published a study in the American Journal of Emergency Medicine in 2009 that looked at patients with new or presumed new LBBB, old LBBB and no LBBB and the rates of myocardial infarction in these groups was roughly equivalent. This study did point out, however, patients with a LBBB were more likely to have coronary disease than those without, so they are at a higher risk of MI but this does not translate into making new or presumed new LBBB a STEMI equivalent. The presence of a new LBBB lost some credibility in the 2010 AHA/ECC guidelines as a STEMI equivalent and the nail was put in the coffin with the 2013 STEMI treatment guidelines that officially removed new or presumed new LBBB from the list of STEMI equivalents. So, how do we figure out if our patient who has a left bundle branch and has symptoms suggestive of acute coronary syndrome has a STEMI equivalent and we should activate the cath lab? The answer goes back to 1996 when aDr. Sgarbossa and her colleagues published the criteria that would bear her name. 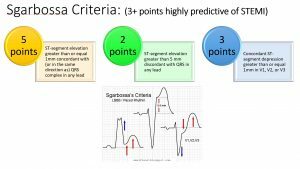 The Sgarbossa criteria is a set of three criteria based on a scoring system where 3 or greater points is predictive of an MI and is considered a STEMI equivalent. Note that if either of the first two criteria are positive, then the patient has a score of 3 or greater and has a STEMI equivalent. The third criteria, however, was somewhat problematic in that it generated a lot false positives, especially when if the patient’s native QRS complexes are large. 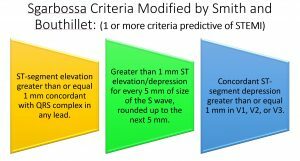 In 2012, Smith proposed a modified Sgarbossa criteria which addressed this concern by modifying the third criteria. Smith derived a rule using 25% of the S wave amplitude as the threshold for discordant ST elevation and 30% for discordant ST depression. The point system was abandoned and now if any one of the three criteria are positive, this is considered a STEMI equivalent. No more counting points! So the next time you have a patient with potential acute coronary syndrome and an underlying LBBB or paced rhythm, apply these criteria and I’m sure you will uncover STEMIs and get your patients to the cath lab quicker! Tom Bouthillet’s (@tbouthillet) ECG Medical Training site has a great 3 part discussion on identifying MIs in LBBB. I highly recommend his site as one of the best ECG interpretation sites out there. Dr. Smith’s ECG Blog (@smithECGBlog – yes the same Dr. Smith who modified the Sgarbossa criteria) has tons of great real-life examples and discussions on 12 lead ECG interpretation. Another must link in your ECG library! Chang AM, Shofer FS, Tabas JA, Magid DJ, McCusker CM, Hollander JE. Lack of association between left bundle-branch block and acute myocardial infarction in symptomatic ED patients. American Journal of Emergency Medicine. 2009;27(8):916-21. Larson DM, Menssen KM, Sharkey SW, Duval S, Schwartz RS, Harris J, Meland JT, Unger BT, Henry TD. False-positive cardiac catheterization laboratory activation among patients with suspected ST-segment elevation myocardial infarction. JAMA 2007;298(23):2754-2760. O’Gara PT, Kushner FG, Ascheim DD, Casey DE Jr, Chung MK, de Lemos JA, Ettinger SM, Fang JC, Fesmire FM, Franklin BA, Granger CB, Krumholz HM, Linderbaum JA, Morrow DA, Newby LK, Ornato JP, Ou N, Radford MJ, Tamis-Holland JE, Tommaso CL, Tracy CM, Woo YJ, Zhao DX, Anderson JL, Jacobs AK, Halperin JL, Albert NM, Brindis RG, Creager MA, DeMets D, Guyton RA, Hochman JS, Kovacs RJ, Kushner FG, Ohman EM, Stevenson WG, Yancy CW; American College of Cardiology Foundation/American Heart Association Task Force on Practice Guidelines. 2013 ACCF/AHA guideline for the managemeht of ST-elevation myocardial infarction: a report of the American College of Cardiology Foundation/American Heart Association Task Force on Practice Guidelines. Circulation. 2013;127(4):e362-425. Epub 2012 Dec 17. Jain S, Ting HT, Bell M, Bjerke CM, Lennon RJ, Gersh BJ, Rihal CS, Prasad A. Utility of left bundle branch block as a diagnostic criterion for acute myocardial infarction. American Journal of Cardiology. 2011;107:1111– 1116. Sgarbossa EB, Pinski SL, Gates KB, Wagner GS. Early electrocardiographic diagnosis of acute myocardal infarction in the presence of ventricular paced rhythm. American Journal of Cardiology. 1996;77(5):423-424. Smith SW, Dodd KW, Henry TD, Dvorak DM, Pearce LA. Diagnosis of ST-elevation myocardial infarction in the presence of left bundle branch block with the ST-elevation to S-wave ration in a modified Sgarbossa rule. Annals of Emergency Medicine. 2012;60(6):766-776.